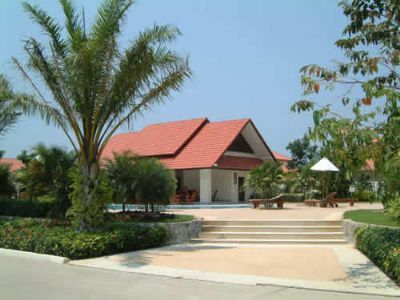 Located just a few yards from Jomtien Beach, View Talay Holiday Resort is surrounded by lush tropical gardens and majestic palm trees. Tastefully decorated timeshare units combined with a Tahi-Bali theme create a beautiful oasis appealing to groups of all ages. Less than 100 miles from Bangkok, this resort is a central destination to explore the amazing sights of Thailand. 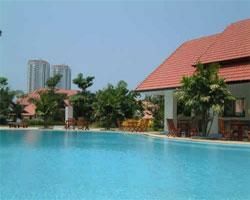 These Pattaya timeshares for sale offer one and two bedroom villas at View Talay Holiday Resort. Each villa provides its own swimming pool surrounded by a beautifully manicured tropical garden. Units offer a full kitchen with refrigerator and stove. Televisions located in the unit provide cable and channels in a variety of languages. 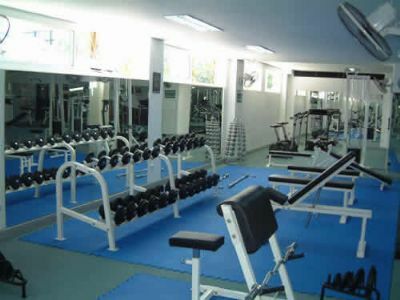 Bathrooms are modern and up-to-date and Wi-Fi is offered throughout the resort. 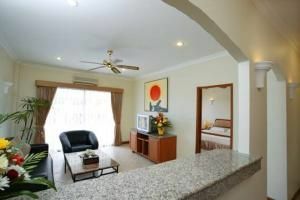 Spending time with your family and friends in these comfortable units is like being in a true holiday home. 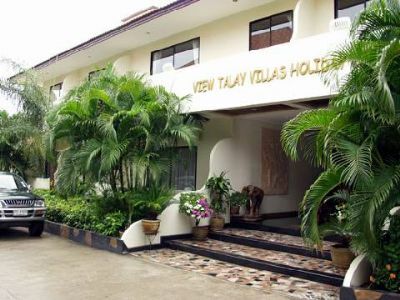 On-site amenities at View Talay Holiday Resort include a communal pool with a clubhouse and a restaurant offering breakfast and a variety of meals. Guests who visit the resort can spend time at the beach windsurfing, water skiing, snorkeling, or other water activities. Guests who enjoy tennis will love the convenient courts and an 18-hole golf course is just 30 minutes from the area. Traveling into town offers opportunities to visit one of the several Buddhist temples, the “Elephant Riding Village,” or “Under Water World.” The kids might enjoy horse riding, go-carting, bowling or paint-balling while mingling with the locals. The knowledgeable and friendly staff at the resort can help schedule motorcycle or jeep excursions to neighboring areas or recommend excellent restaurants all throughout the town. As one of Thailand’s premier beach resorts, guests travel from all over the world to explore the area and enjoy authentic shops and restaurants. Pattaya is known for its seafood, and steak houses offer delicious meals to satisfy any appetite. 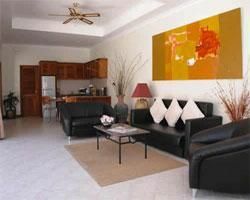 Whether you are traveling with family or a group of friends, Pattaya timeshares for sale can provide units of different sizes to meet your needs. Families return to the resort year after year to explore the area and enjoy the comforts while making memories and creating a vacation experience to last a lifetime. 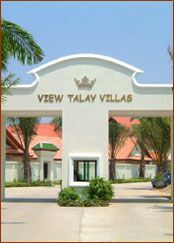 Contact View Talay Holiday Resort Specialist Today!